15 The word of the Lord came to me: 16 “Son of man, take a stick of wood and write on it, ‘Belonging to Judah and the Israelites associated with him.’ Then take another stick of wood, and write on it, ‘Belonging to Joseph (that is, to Ephraim) and all the Israelites associated with him.’ 17 Join them together into one stick so that they will become one in your hand. 18 “When your people ask you, ‘Won’t you tell us what you mean by this?’ 19 say to them, ‘This is what the Sovereign Lord says: I am going to take the stick of Joseph—which is in Ephraim’s hand—and of the Israelite tribes associated with him, and join it to Judah’s stick. 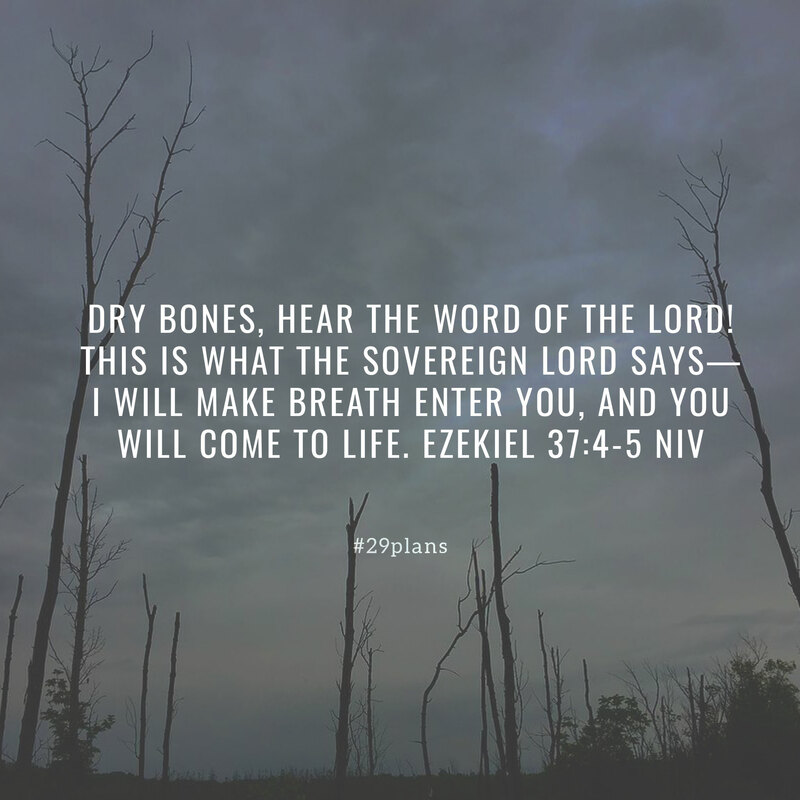 I will make them into a single stick of wood, and they will become one in my hand.’ 20 Hold before their eyes the sticks you have written on 21 and say to them, ‘This is what the Sovereign Lord says: I will take the Israelites out of the nations where they have gone. I will gather them from all around and bring them back into their own land. 22 I will make them one nation in the land, on the mountains of Israel. There will be one king over all of them and they will never again be two nations or be divided into two kingdoms. 23 They will no longer defile themselves with their idols and vile images or with any of their offenses, for I will save them from all their sinful backsliding,[b] and I will cleanse them. They will be my people, and I will be their God. Ezekiel 37:5 The Hebrew for this word can also mean wind or spirit (see verses 6-14).